If you are a Des Moines employee who was not paid for working overtime, you may be able to file a Des Moines unpaid overtime pay lawsuit. These lawsuits demand that the employer, either past or present, pay the employee back unpaid wages for overtime hours that were worked but not paid. Unpaid overtime lawsuits also seek payment of the attorney’s fees and expenses incurred in pursuing legal action. Our Des Moines overtime lawyers file unpaid overtime lawsuits on behalf of workers who are not paid the legally required wages. Under the Fair Labor Standards Act (FLSA), a large number of workers who are entitled to overtime pay never receive the wages owed to them under federal or state law. Many times, the company either misclassifies a worker as “exempt,” denies overtime, or falsely informs workers that overtime pay is not required for their position. When an employer denies or refuses to pay overtime wages, it may give rise to an unpaid overtime lawsuit. Recent data shows that over 209,000 people live in the city of Des Moines and the population is still growing. Des Moines is the most populated city in the state of Iowa. The major economic sectors include trade, transportation, utilities, financial activities, government, educational and health services. The unemployment rate is 4.1%. The success of Des Moines is largely based upon its dedicated and ambitious workforce. Many employees work in excess of 40 hours per week at their jobs, either voluntarily or at the request of their employer. In many circumstances, the employee is not receiving federal and state mandated overtime pay. Under the Fair Labor Standards Act (FLSA), “covered” employees are entitled to overtime pay at 1.5 times the regular pay rate. Other jobs and occupations are considered exempt, which means that the employer is not required to provide overtime pay. Some employers “misclassify” the job as an attempt to avoid paying overtime wages, however, this is an unlawful and deceptive practice and violates federal law. There are also Iowa overtime pay laws in addition to federal regulations. An experienced unpaid overtime attorney can determine whether you are entitled to overtime pay and whether you are eligible to file a lawsuit for unpaid wages. These cases seek to force the employer, either past or present, to pay the employee the back unpaid wages for overtime hours that were not paid. 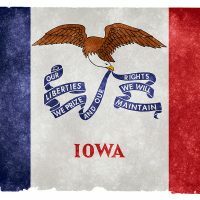 Iowa unpaid overtime lawsuits also seek payment of the attorney’s fees and expenses incurred in pursuing legal action. Our experienced team of Des Moines employment law attorneys will carefully evaluate your work situation and determine if you are owed back overtime pay from your employer. We will advise you of your legal rights and if you do have a case, we will handle your case and charge no legal fees until you receive your settlement. We will also pay all costs and litigations expenses in the case. To file your Des Moines lawsuit, you should contact us now at (855) 263-3525 for a Free, No Obligation Case Review. You can also complete the Free Unpaid Overtime Case Review Box on the right side of this page and an experienced attorney will contact you shortly.